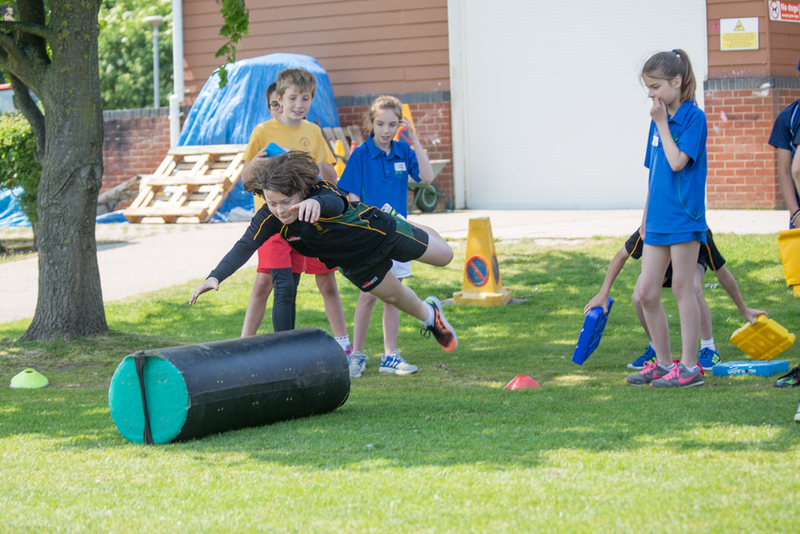 Over 60 children from 10 local primary and prep schools enjoyed a wonderful day of sport in perfect weather at St Benedict's. 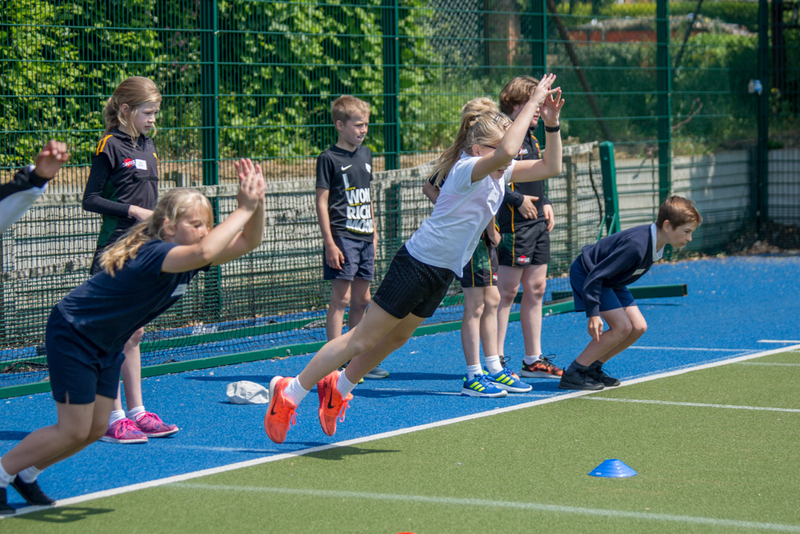 The Sports and Activities Day was organised and hosted by St Benedict’s on order to allow children who enjoy sport to come together, develop their skills and generally have a lot of fun. 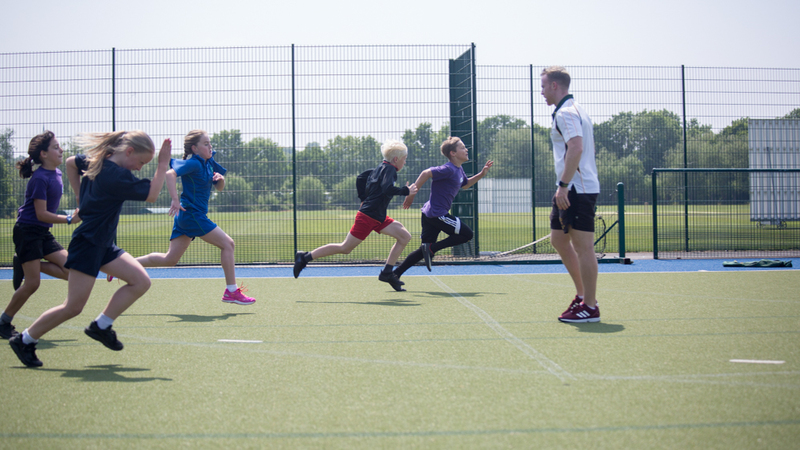 Everyone took part with huge enthusiasm and commitment throughout the day, improving their skills in rugby, cricket, hockey, netball, fencing, athletics and team work. 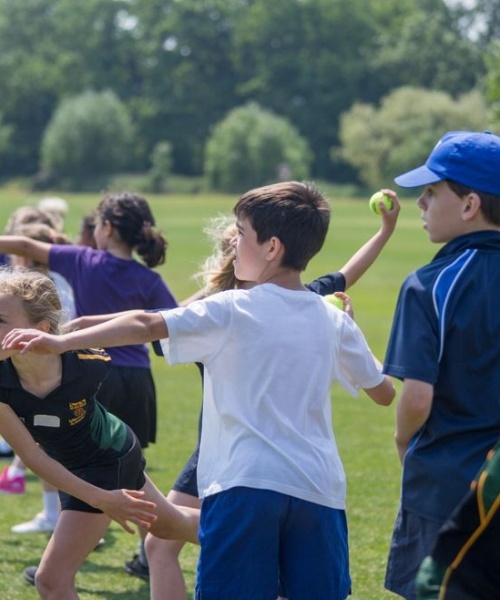 Sports’ coaches and teachers from St Benedict’s ran a challenging range of different activities throughout the day, at St Benedict's expansive Perivale playing fields. 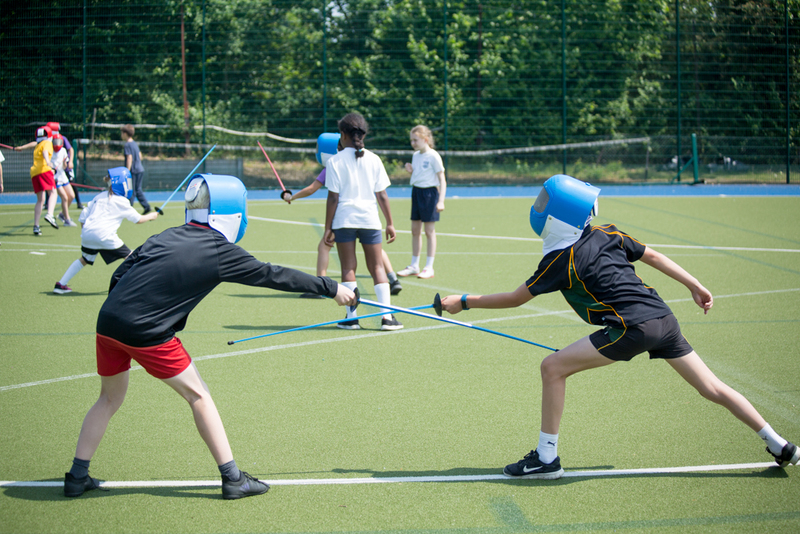 These included relay races, bowling, batting and fielding skills, jumping, netball shooting and an introduction to fencing. 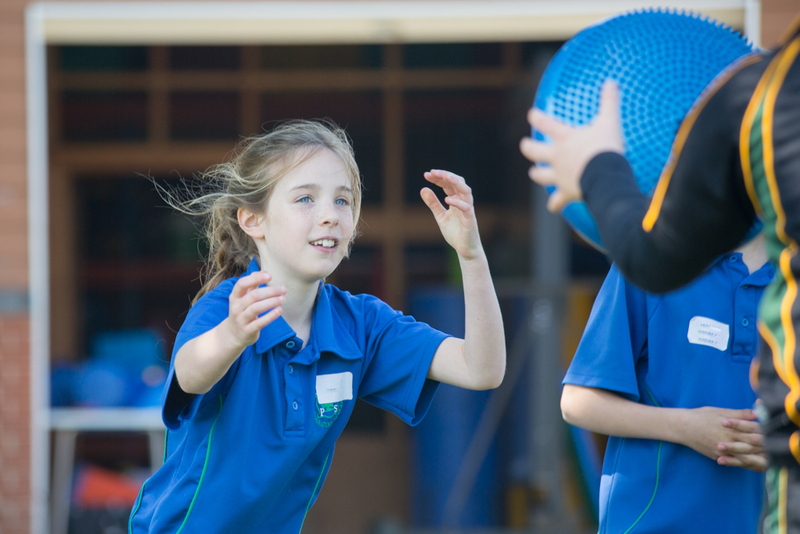 Participating children also had the opportunity to develop their problem solving skills and team building and to meet children from other schools who enjoy sport. The day concluded with an awards presentation, in recognition of all that the children had achieved. William throws himself into the team building exercise!